Buying food is so much more important than most people admit. Eating bad food can make you sick. Buying unhealthy food can keep you sick. Over the years we have allowed ourselves to be lulled into complacency about our food by “government inspections”. No one wants to believe that the food they buy has been compromised in any way, but it has been and is on a regular basis. Corporations place their key people in government positions to influence the committees of Congress that make our food and farm policies. But what about the things we can’t see. 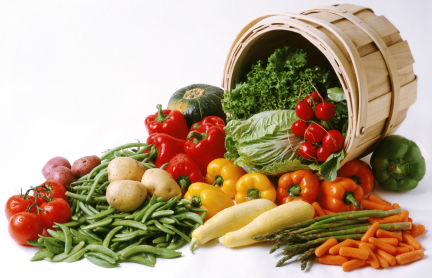 Studies have shown that the vitamins, enzymes, anti-oxidants and other nutrients that we need from food have diminished over the past 50 years to the point that many people are just eating empty calories. For details see the Organic Consumers Association. Which Foods Make the Most Sense? 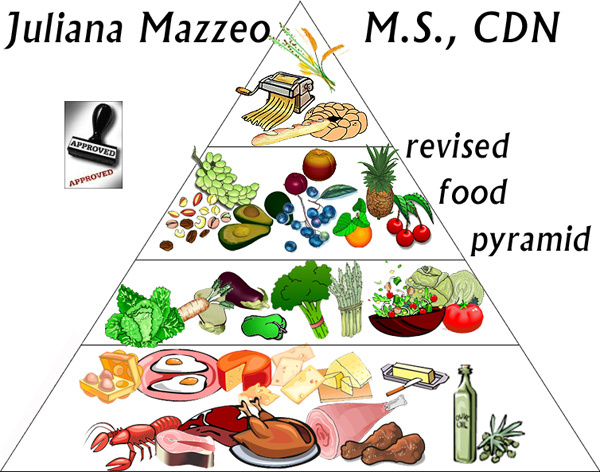 My good friend, nutritionist Juliana Mazzeo, has suggested the pyramid on the right for proper proportions of foods that make sense for people looking to achieve a nutrient dense diet. 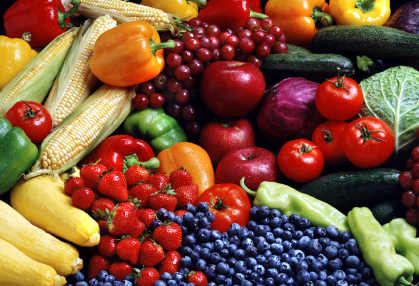 How can you find a source of food you can trust? Try buying local produce from farmers you trust. Yes, it requires more effort on your part to locate the farm, visit them, make sure they grow things according to your standards and are willing to work with you to get you the food you want. But, the benefits can be enormous. The food tastes better. It is healthier. It is safer. Buying it locally supports a variety of industries in your community. No government bureaucrat knows better than you do what your family needs. 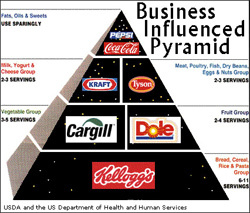 They still think in terms of “food pyramids”. You should not be surprised that everything they taught you as a kid has been tossed out. Governments are the last entities to catch up to reality. Even on a site such as ours, don’t just assume that because they showed up on this page that they are organic and committed to the same food values that you are building. Ask detailed, pointed questions about how they grow the food. If the farmer gets defensive and starts bad-mouthing the “hippie tree huggers” that’s a clue that they still don’t get it. Farmers committed to high quality food relish the opportunity to have discussions about ways to make the food better. We put “road apples” from horses and mules around our tomatoes. Ask if he’s ever tried it. Visit our friends at “Grow Alabama” to learn more about how you can have local foods delivered to your door.